Statue of Our Lady of Carmel, 25 cm. 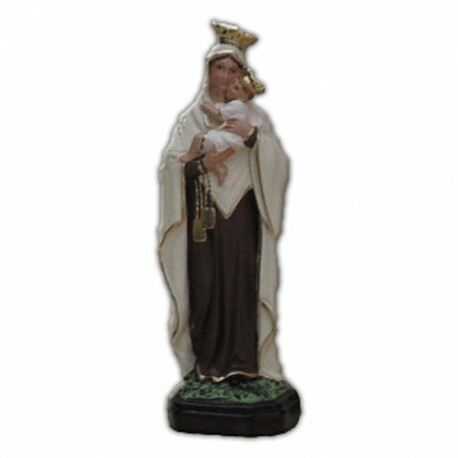 Statue of Our lady of Carmel of fiberglass, 25 cm, handmade in Italy. 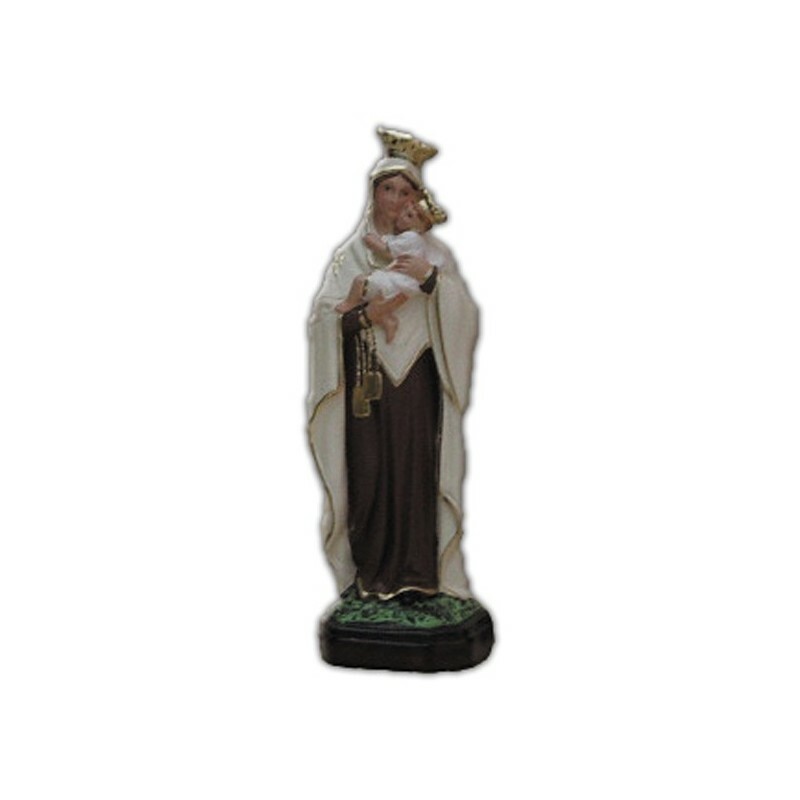 Full resin statue,printed and perfected by skilled artisans. They remove the imperfections and the marks due to the manufacturing. When the statue has been smoothed, it is carried to the coloration sector and it is hand painted with indelible varnishes, conformino to the traditional iconography. The resini s a plastic material, which is solid thanks to hardener substances. It is very resistant. The difference with the fiberglass is that the resin does not contain the fiber of glass.